The Atlanta-based airline announced that they will hire 1,000 flight attendants for 2018. The average entry-level flight attendant at Delta earns about $25,000 a year, “with an opportunity to earn more depending upon schedule,” according to the airline. 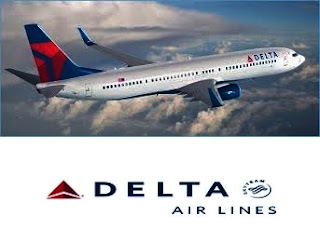 Atlanta-based Delta said applicants must have a high school degree or GED, be at least 21 years old, be able to work in the United States and be fluent in English.Flight attendants also can’t have visible tattoos, body piercings or multiple ear piercings, according to Delta. The ideal candidate is also fluent in a language other than English, has education beyond high school and more than a year of experience in customer service, patient care or a similar role. Other experience that helps includes work to ensure the safety or care of others such as a teacher, military, EMT, firefighter, coach, law enforcement, lifeguard or nurse, according to Delta. Those who are multi-lingual and get hired as “language of destination” flight attendants get premium pay and can travel more often to destinations where their second language is spoken, according to Delta. New hires go through eight weeks of training in Atlanta and get paid a training wage. There’s also some lodging for those who don’t live in the area. About 150,000 people applied for about 1,200 flight attendant positions last year, and fewer than 1 percent of applicants were selected, according to the airline.